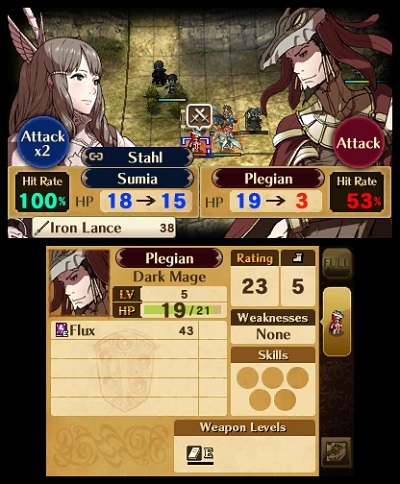 Fire Emblem, a tactical role-playing video game franchise set within a Medieval time period across fictional continents, was developed by Intelligent Systems and published by Nintendo. It now consists of 15 games across multiple game systems. Its RPG simulation is based on the tactical movement of characters across grid-based environments while incorporating a story, characters, and decision making similar to a traditional RPG video game. Gameplay is notable for the permanent death of characters and their subsequent removal from all action. The title “Fire Emblem” refers to a recurring motif across the series represented by a weapon or shield and symbolizing the power of war and dragons.